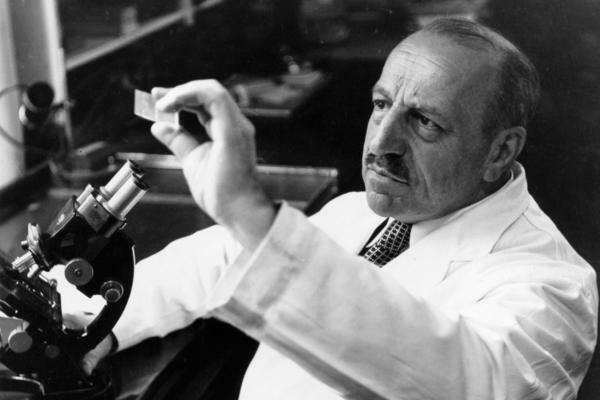 Dr. George Papanicolaou discovered that it was possible to detect cancer by inspecting cervical cells. The Pap smear, the cervical cancer screening test, is named after him. During a Pap smear, doctors collect cells from in and on the cervix to test for abnormal cells that might be cancer or lead to it. The Pap smear, which checks for changes in cervical cells, is no longer justified as an annual exam, researchers say, because the evidence shows that screening that frequently can cause more harm than good. But reducing the number of Pap tests can be a hard sell to patients. "People will almost leave your practice because they feel you are doing them an injustice," says Dr. Rebecca Starck, chairman of the Cleveland Clinic's regional OB-GYN department. "I try to explain how the technology has advanced so that our testing is better and more reliable. In an effort not to overtreat but to capture those who truly have the disease and need treatment, we have been able to space out the screenings." 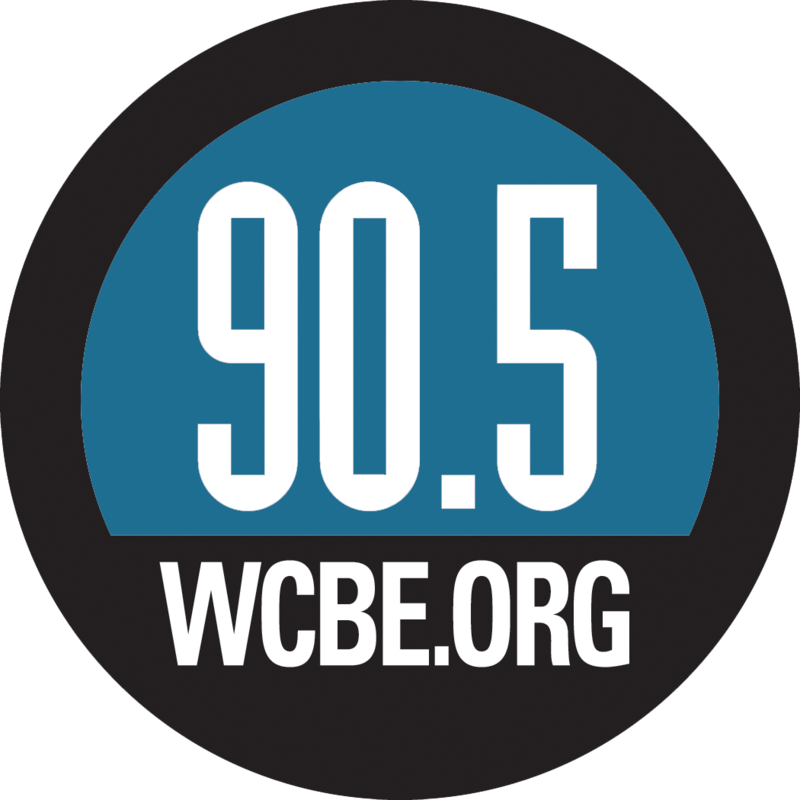 Many doctors aren't keeping up with the recommendations either, says Dr. Mark Einstein, a gynecologic oncologist at the Montefiore Einstein Center for Cancer Care in New York. "Clinical algorithms are really hardwired into providers' heads," he says. "For them to change their work flow and how they interpret and analyze results will be a process, and it requires education." This tension between the benefits of early detection and the pitfalls of over-testing is not new. Just a century ago, cervical cancer killed more women than any other malignancy, and today it doesn't even make the top 10. Pap tests are largely responsible for that change, researchers say. But to safely reduce incidence of the cancer even further -- from around new 12,000 cases per year to near zero — women and doctors will have to adapt to new testing methods, scientists say. Not so simple. Starting with the introduction of the Pap smear, the following timeline shows how providers arrived at the current guidelines, where they're headed, and why this issue is still so contentious. Early 1900s — Cervical cancer is the No. 1 cancer killer of women in the U.S.
1927-29 — Georgios Papanicolaou and Aurel Babeş determine cancer can be detected by inspecting cervical cells. The first screening test to become widely used for cancer, the Pap test -- named for Papanicolaou -- is invented. In terms of precancers and early cancers detected, it's still the most successful screening test ever introduced for preventing serious malignancies. July 1943 — Dr. Papanicolaou publishes a paper explaining how to use the Pap test to screen for cellular abnormalities that could be cancerous. Within the decade, annual screenings with Pap smears begin, and the cervical cancer rate in the U.S. drops to about half of what it was at the turn of the century. That rate continues dropping, only leveling out in the early 2000s. According to some sources, the rate drops from 24 to 37 cases per 100,000 women before 1933, to 7.5 cases per 100,000 in 2008. "Essentially, for decades, it was our only tool and our No. 1 tool," the Cleveland Clinic's Dr. Rebecca Starck says. "And in fact, it wasn't a very good test -- it gave a lot of false negatives. But because we were doing it every year, cervical cancer rates dropped." 1976 — German virologist Harald zur Hausen publishes his hypothesis that HPV — the human papillomavirus — is involved in causing cervical cancer. He confirms the link in the early 1980s by identifying the presence of HPV-16 and HPV-18 in cervical cancer biopsies. These two strains are eventually determined to account for approximately 70 percent of cervical cancers worldwide. In 2008, zur Hausen wins the Nobel Prize for his finding. 1995 — The International Agency for Research on Cancer determines that HPV-16 and HPV-18 are certainly carcinogenic, and specifically cause cervical cancer. The extent of the correlation between HPV and cervical cancer is higher than that between smoking and lung cancer. 1996 — The U.S. Preventive Services Task Force recommends that Pap screenings be done every three years. The American Cancer Society and the American College of Physicians have already been saying for a few years that annual screenings are unnecessary. Still, many doctors continue the annual exams, and at least as late as 2004, more than half of women continue to get screened once a year. 1996-99 — Two new liquid-based cytology methods become available for detecting abnormal cervical cells. Doctors gradually move away from the smear method, in which the sample is smeared onto a microscope slide, to a more efficient method, where the sample is put in a preservative liquid before it is tested. 2006 — The HPV vaccine Gardasil is introduced, protecting against HPV-16 and HPV-18 as well as two strains of the HPV virus that cause genital warts. Other versions of the vaccine become available in later years, protecting against various strains. 2006-2009 — A DNA test for HPV is developed. Unlike a Pap smear, the HPV test does not detect precancerous or cancerous cells. Instead, it identifies strains of the virus that could cause cancer. Guidelines for screening begin to move toward "co-testing," using both an HPV test and liquid-based cytology to get a more accurate picture of a woman's risk for cervical cancer. "The main advantage of co-testing is that 90 percent of women are going to be negative on both tests," Dr. Kevin Ault, an OBGYN at the University of Kansas Hospital, tells Shots in 2015. "That really means she has an almost zero percent chance of having cervical cancer." And even if a patient contracts HPV after getting tested, he says, "you have years of protection from that one screening" because of how long the infection takes to become precancerous. Ault adds that only about 5 percent of women who have a normal Pap smear but a positive HPV test have precancerous disease. 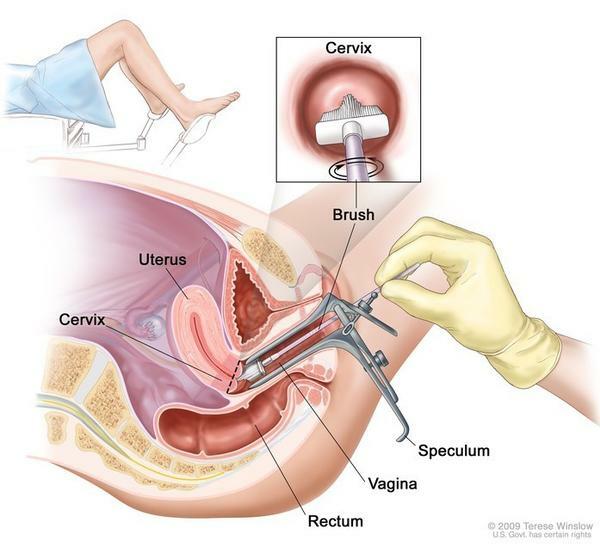 No cervical cancer screening for women before age 21. For women ages 21 to 30, Pap tests every three years, and no HPV tests at all. After age 30, women should receive co-testing with a Pap test and HPV test every five years, or only a Pap every three years. Recommendations advise against annual screenings in the general population. April 2014 — The FDA approves a new HPV test as a primary screening tool for cervical cancer, which means it could be used before a Pap test. If the test finds that a patient has HPV-16 or HPV-18, the next step is a colposcopy, in which a doctor looks directly at the cervix to look for lesions that might be precancerous. If any of the 12 other cancer-causing HPV strains are found, the patient will get a Pap test to determine if a colposcopy is needed. The question of whether the HPV test should replace the Pap test is controversial because of the high false-positive rate. "The primary HPV screening as a stand-alone is really in its infancy," Starck says. February 2015 — The results of a large clinical trial that uses the HPV test as a primary screening tool are published along with interim guidance on how to use the HPV test, should doctors choose to use it as a primary screening tool without a Pap test. Montefiore's Mark Einstein, a senior author on the paper, tells Shots that such guidance is for doctors' consideration, whereas formal guidelines are more "thou-shalt-do-this." Still, the guidance has been called premature and potentially confusing to patients and providers. April 2015 – The American College of Physicians issues its best-practice advice for cervical cancer screening. ACP specifically recommends against testing more often than every three years in average-risk women age 21 to 65. It says clinicians may use co-testing — Pap plus HPV test — once every five years for women over 30. The ACP does not recommend screening for average-risk women under 21, over 65 with prior normal tests, or for women who have had their cervix removed. 2017-18 — Medical groups' guidelines are expected to be revisited. One of the primary discussions will focus on use of the HPV test and overall cervical cancer screening recommendations. Eventually, use of the HPV vaccine may also impact when and how often screening is needed. While methods of preventing cervical cancer in the United States continue to advance and shift, disparities persist. Women with the fewest years of schooling are the least likely to be screened. And African-American and Hispanic women are disproportionately represented among those develop the cancer.